Airline easyJet is moving to cloud-based human resources (HR) software from Workday to manage its 8,000 employees. The migration to cloud HR software is part of the airline’s effort to improve talent management and gain better reporting and analytics capabilities. It will make it possible for staff to use the HR application from mobile devices. The Workday Human Capital Management (HCM) software brings together HR and talent management. 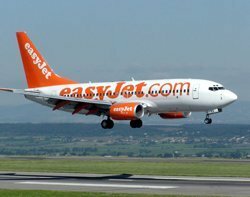 The HCM software's analytics capabilities will give easyJet a better view of the cost, capacity and capability of its workforce, said the airline. It will have less need for IT support to generate reports, it said. Workday was founded in 2005 by former executives of PeopleSoft. The software developer expects revenues of $700m this year. Workday has won contracts with 600 enterprises around the world, including pharmaceuticals giant GlaxoSmithKline. Rival AstraZeneca plans to roll out Workday’s cloud HR technology to 66,000 employees in 2015.